Digital risk protection is the use of tools, products and services to mitigate the risk associated with operating a digital organization. The outcome of investing in digital risk protection is to create or enhance digital resiliency. Digital risk management tools, products and services are designed to rapidly detect digital threats and respond to events to minimize organizational disruption and any financial losses. Digital risk management is business-first and is focused on protecting the organization without impeding or disrupting the operation or the mission of the organization. Digital risk mitigation accounts for non-obvious dependencies such as external threats and helps organizations deal with dynamic ways disruptions can occur outside the control of traditional cyber security. 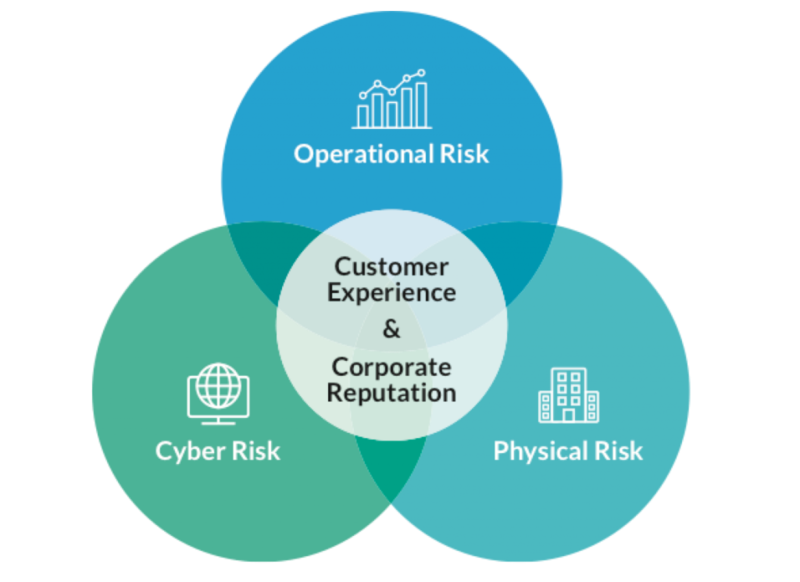 Digital risk management focuses on protecting organizational reputation, customer experience and revenue. Thorough digital risk protection capabilities support the mitigation of cyber, physical and operational threats to a digital organization. Threats must be detected and mitigated as fast as possible to prevent digital disruption. It’s difficult acquire & maintain risk based visibiilty on the organization's full digital footprint. Many organizations lack expert resources & time to execute digital risk management processes. Digital risk management is the new normal and has to be practiced to minimize financial losses. In the past, the focus in risk mitigation was asset, impact, and likelihood. In today’s social media centric world with a 24 x 7 information cycle, responding to a digital threat with speed is critical. Unmitigated risk in an unacceptable time window creates tangible damage and losses and disrupts the opportunity to take advantage of opportunities where your organization has competitive advantage. The DigitalStakeout Scout platform enables the broadest access to your digital presence enabling you to acquire essential visibility into your organization’s digital footprint. Leveraging machine learning and artificial insight, our proprietary technology detects external threats to your organization traditional cyber security capabilities will miss. DigitalStakeout’s best-in-class customer support gives you access to subject matter expert digital risk resources to get the most value out of an digital risk protection investment.